As each of us age, we experience problems with range of movement. Our bones and muscles tend to weaken; thus, limiting us from doing activities that were usually a piece of cake. Physical Therapy in Far Rockaway is highly beneficial to seniors, even if they don’t have chronic or debilitating conditions. It often eliminates the need for medication among senior suffering from problems with flexibility, movement, balance, and strength. It can help in the treatment of various conditions such as arthritis, incontinence, osteoporosis, cancer pain, and Parkinson’s. Weight-bearing and extension exercises help prevent the onslaught of osteoporosis or help control its effects. Decrease chances of acquiring infections caused by lack of movement. Physical therapy can alleviate pain caused by diseases such as cancer. Maintaining movement and functionality is beneficial to dementia and Alzheimer’s patients because of muscle memory. It will help them perform daily living activities. Arthritis can be alleviated, if not avoided, by a large range of exercises focused on balance, coordination, and flexibility. Balance should be maintained to avoid the dangers of falling. Constant therapy can help maintain balance with various exercises. There is an exercise that will help with muscle control and operation. This will greatly benefit seniors suffering from incontinence. A physical therapist can also assist with developing social timing for restroom breaks. Helps senior citizens maintain their sense of independence and function. Thinking long-term, physical therapy can help prevent the possibility of acquiring life-long or life-threatening disabilities or conditions. 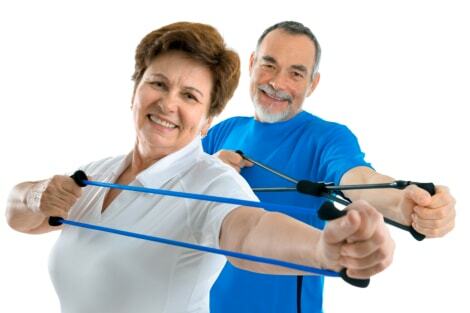 The importance of physical therapy for seniors cannot be stressed enough. Physical therapy is a process and every phase is valuable. Quality of life will definitely improve and the independence will maintain. If you are convinced and looking for Physical Therapy in Brooklyn, New York— Road to Recovery Physical and Occupational Therapy is a perfect choice. We understand the needs of our clients and we aim to help you keep your life on track. For more information about Geriatric Physical Therapy or our other specialized services, you can visit our website www.b2hpt.com. You can also give us a call at 718-868-8668. We allow you to live your life on your own terms with grace, dignity, and independence.